So, what to say. I can’t just build and fly quadcopters. As usual I have to create something that makes me gain knowledge or create almost the same solution but based on my idea how it should work. So I couldn’t really help my self when I did not really understand why one ESC-Motor-Propp setup would be better then an almost similar setup. And there is a lot of information “as usual” on the Internet, but most is based on the writers opinion. So I did a lot of research on similar solutions, but the ones that I did find was not in the same standard or gave the functionality as I was after. 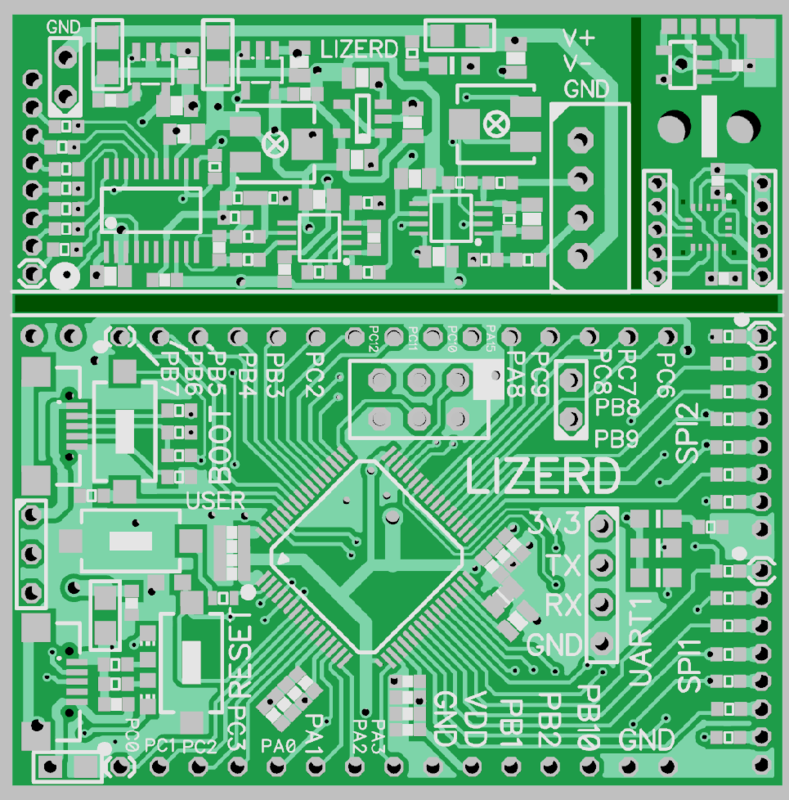 So put together a few PCB boards that holds the functions that I need to test the “beta solution” before a real solution can be made. So the specifications/functions I am going for is. 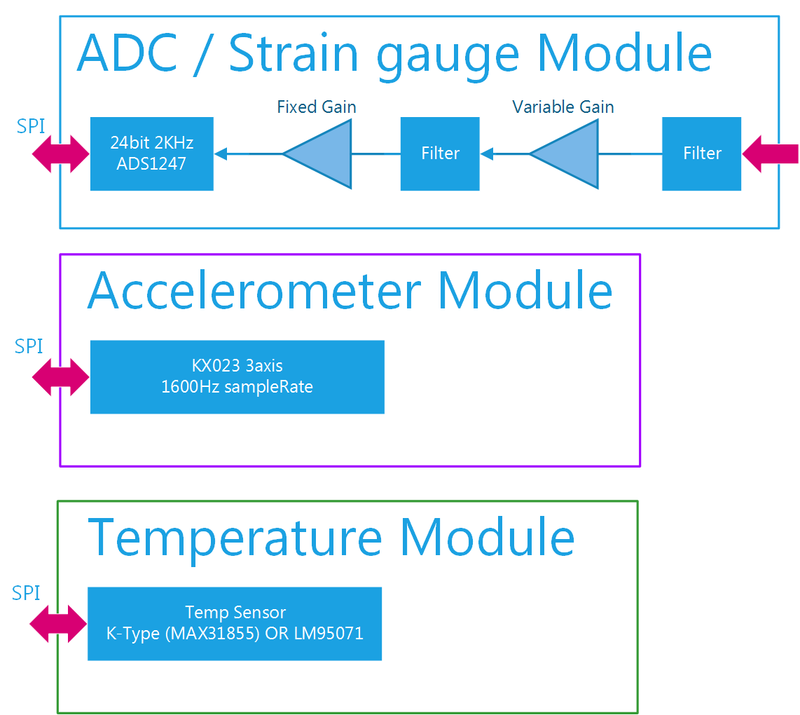 Minimum 1000Hz sampling rate from Voltage/current and load cell (strain gauge) and accelerometer. RPM will update as fast as possible, and will be based on pulse duration instead of number of pulses/time. All data is transfered to the computer so analyses can be done afterwards. Simple ramp , step and oscillation/wobble response analyze. Efficiency curve, and optimal efficiency range calculations. I tough that the best way is to create a sensor module that only holds the most basic functionality, and separate the specific functions to a separate module. So if I decide to redo a module, I don’t need to redo the whole solution. And I can reuse the modules for future tests/solutions. 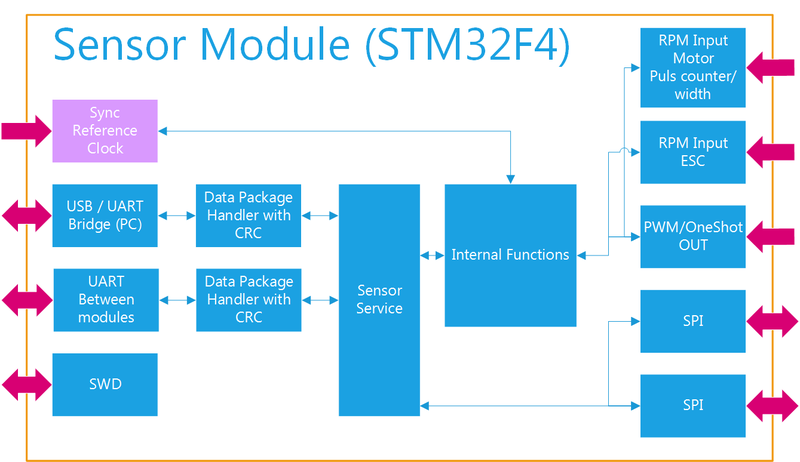 Main module is based on the STM32F4 32bit MCU that has plenty of power, so there will no problem to implement the functions I would need. 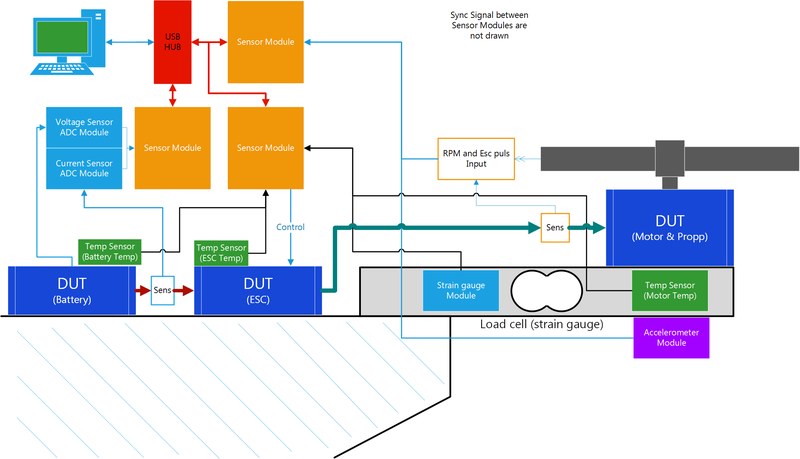 Each Sensor module holds two high-speed SPI buses that will be used for transferring data between sensors and the computer. I did some calculations at first on the data-rate if I only would have used one processor to do all sensor data collection and transfer to the PC. The problem with that is the data rate trough the UART/USB bridge is precisely at its limit. So by separate them it will be easier to send at the rate I would like (min 1000 Hz) and still have bandwidth left. And the system will be more modular, so if I wouldn’t be a problem to add sensors later on. Each module I have made so far. Boards are ordered and are on the way back. As usual I have a lot of different ideas. Basically each test run will hold data for everything, but it will be done so I can sort by Motor/ESC/battery/propeller/Ncells later and can be compared with all other runs that holds the same criteria as you are interested in. Had some time over to solder togheter a few modules so I could start with some tests. 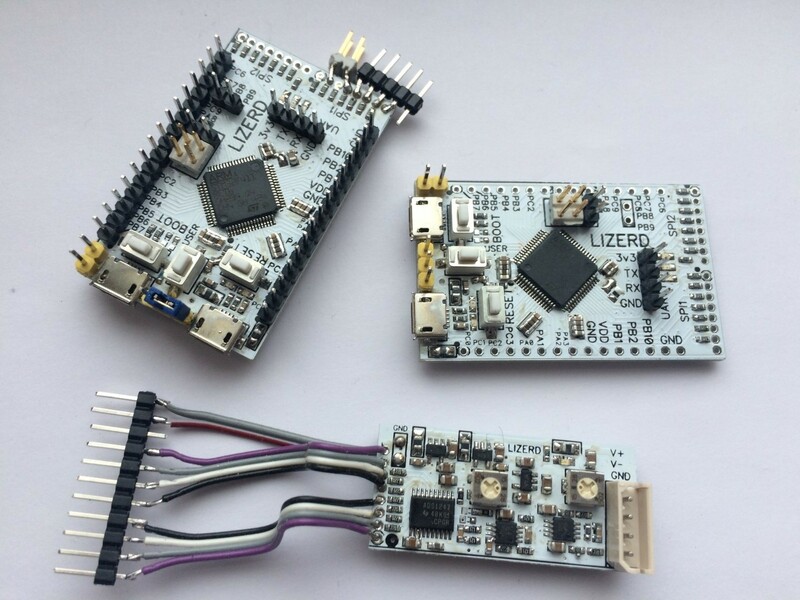 I am using the FTDI FT230X Serial to USB bridge on my sensor module. 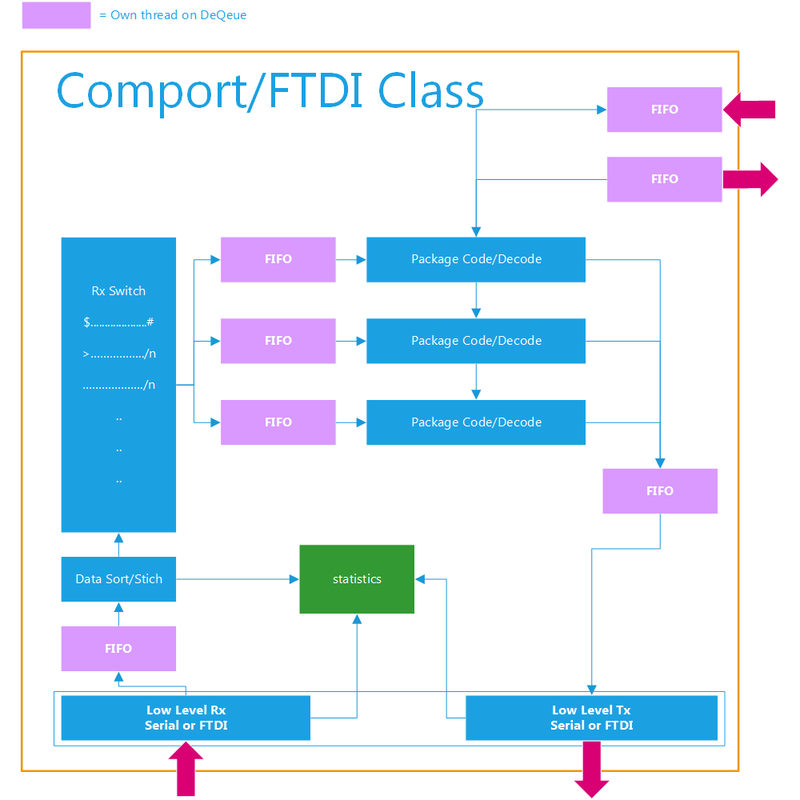 And I decided to totally rewrite my serial/FTDI driver with threading in mind. The last serial driver was one of the limits when handling a lot of data. So the decision to spend a fair amount of time on the serial driver was not hard to make. And it paid of. Right now I do not have any USB/serial bridge that is faster then the 3 Mbaud then the FT230X can handle. 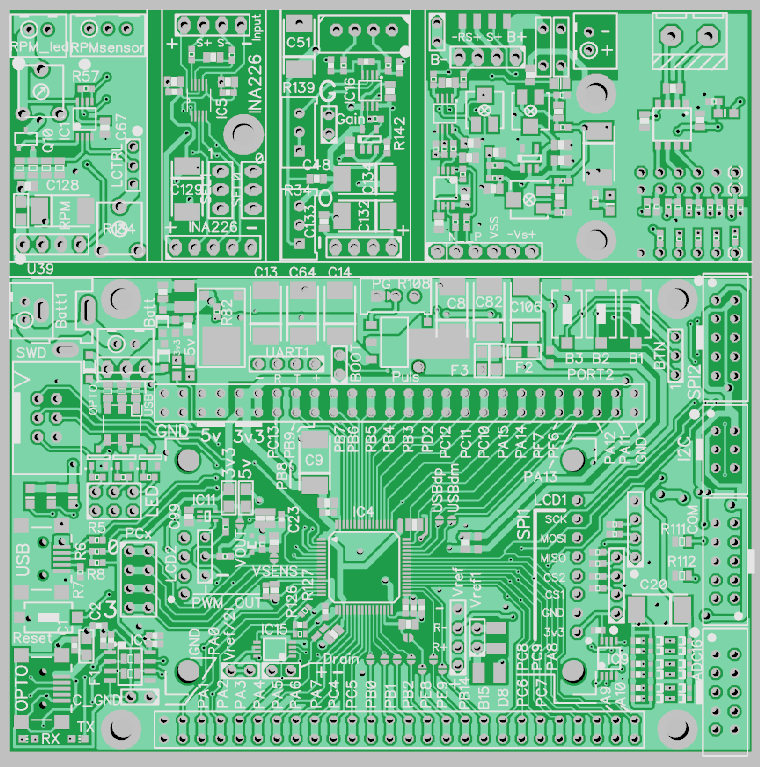 I am working on a new board that can handle 12 Mbaud, so I have to wait until I can test the driver in a bit higher speed then right now. But so far it looks promising. 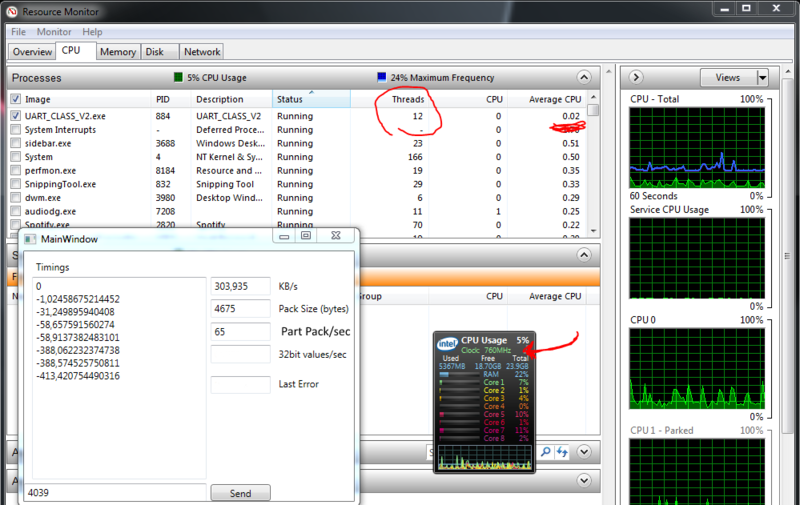 It only consumes 0.02% CPU and uses 12 threads when the CPU is running at 760MHz. So it looks really promising, I cant wait until I can test with 12Mbaud .